For the last couple of years, the e-commerce business has grown rapidly. This unprecedented growth was because of the increased usage of several smart phones, tabs and the easy availability of internet. Apart from that, increased number of internet users and favored demographics all played an important role in this growth. So, let’s have a look at some useful statistics and latest e-Commerce trends that will have a huge impact on the overall online shopping industry. 40% of global internet users, or more than 1 billion people, have bought products or goods online. The abandonment rate for mobile shopping cart is higher (at 97%) than that of desktop shopping carts (at 70 – 75%). Mobile Commerce is one of the latest trends in e-Commerce and a very popular one. 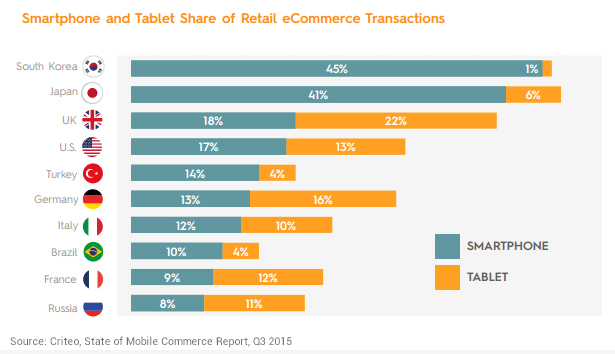 Now days a huge amount of online shopping has been driven by the smartphones. So invest in developing mobile apps for more sales conversions. One thing you have to keep in mind is that smart phones now have become the first screen for most of the people. Mobile phones, especially with larger screens are very convenient when it comes to mobile shopping or m-Commerce. As a customer, whenever you find a good product on any website, chances are you will also visit Amazon to search for it. This is why multi-channel selling is so necessary where products are offered from several resellers. The reason why customers tend to visit a multi-vendor website is that there they can find several unique products from various resellers and for the lowest prices. Many online resellers now have started selling their products through multiple channels, even now the situation is if they don’t list their offerings on websites like Amazon, Flipkart etc, they experience several problems in the business. Amongst all the payment options available like Debit Card, Credit Card, Net Banking, Mobile Money, Prepaid Cards; COD (Cash on Delivery) option has come up as one of the most popular options for e-Commerce customers and its reported that in several cases, nearly 50% of orders are placed by using this option while the remaining opt for other credit cards or bank payments. Want to grab more and more customers? Start offering faster delivery option! 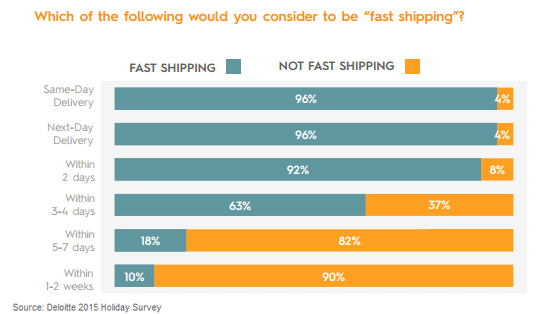 For online retailers, order fulfilment at the right time is an important focus point this year. Many of them started offering several delivery options to match the ‘Prime Now’ service of Amazon. In the past, customer support team used to wait for customers to contact them whenever they face any kind of issues. But now things have started changing. If you enter into a physical store, there are sales personnel to help you. 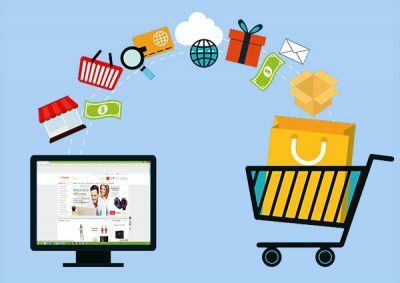 Nowadays, many e-Commerce business owners have started engaging with the customers and offering the same instant assistance on the website itself. How? They have added live chat software on the website with which customers can directly chat with the support agents whenever they need any assistance. Several live chat software have advanced features like ‘Facebook Chat Integration’ with which support agents can even engage with the people who visit their Facebook company page. Instead of waiting for the customers to buy first, through live chat, support agents engage with them for offering instant assistance even before they ask for it. 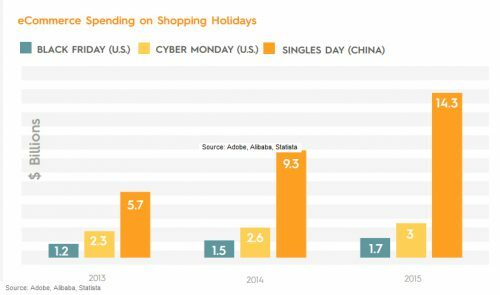 According to Adobe, in the US, Cyber Monday is still celebrated as the biggest online shopping day of the year with $3bn sales. Also China celebrates 11th November as the world’s biggest online shopping day of the year, with Alibaba alone reporting sales worth $14.3bn, a 60% increase from last year. So, being a retailer, you need to work on the online selling strategies for these big shopping days. On big shopping periods, people will buy more online to avoid the rush at brick and mortar stores. So focus to grab this opportunity for increasing your online sales. This industry tends to change very fast so make sure that you bookmark all the interesting new trends in e-Commerce and apply those on your online store. It will help you to save money and push your e-Commerce business to the next level.